Here's how you plant a Whisper-Chip in TF29. Follow this walkthrough to learn how to install the chip in this early mission from Deus Ex Mankind Divided. Your first real story mission in Deus Ex Mankind Divided, after waking up in Prague, involves spying on the people you work for. Here's how to install the Whisper-Chip in TF29. Follow the waypoint to arrive at a Praha Dovoz, the front business for Task Force 29's headquarters. Go straight to the room in the back and use the keycard you were given when you first woke up in Prague to activate a hidden elevator that will take you down to TF29. Your goal is to get into the NSN Server room and plant the Whisper-Chip in the server, but you need to gain access to the room first. There are two ways of accomplishing this. The first way involves hacking a security console not far from the entrance elevator. Turn right and enter the first door on the right labled Security Holding Cells. From there you should see an old-looking dungeon gate at the end of a hallway. The room on your right hosts the security console you're looking for. 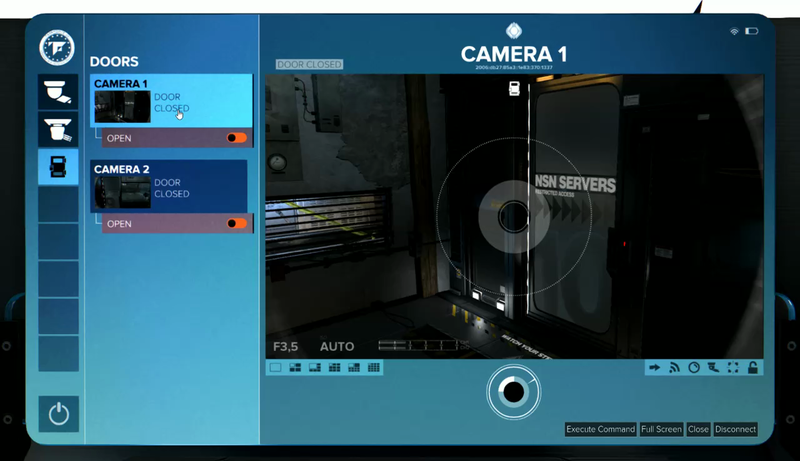 Hack it and go to the Doors tab to open the Camera 1 door, the NSN Server Room. Another way is to get an NSN Server Room Keycard from the IT Support Server room. Head to the room on the left just before the stairs to the second floor. Inside, you'll find a locked door and a locked Keypad. Access it by either hacking or code, but make sure there aren't any IT Techs wandering in there as you do it so as not to arouse suspicion. Unlock the Server door and turn around as you enter to find the keycard on a stand. Both of these methods involve accessing Security Rating 1 terminals, so you shouldn't have too much trouble even if you aren't that great at hacking. If you balk at hacking, you can explore the rooms you do have access to in order to find some codes on Portable Secretaries. Don't obsess over finding them, however, as, again, these are easy hacks. Consider codes you happen to have a nice bonus. After you've gained access to the NSN Server room, head upstairs and enter the room in the corner to the left. Activate the area indicated by the waypoint to install the Whisper-Chip and progress the story.